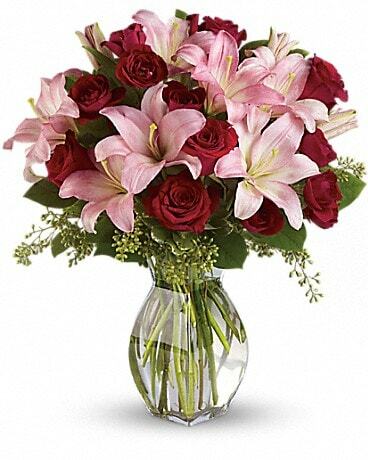 A party of petals! 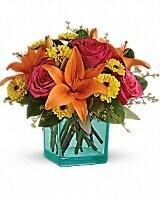 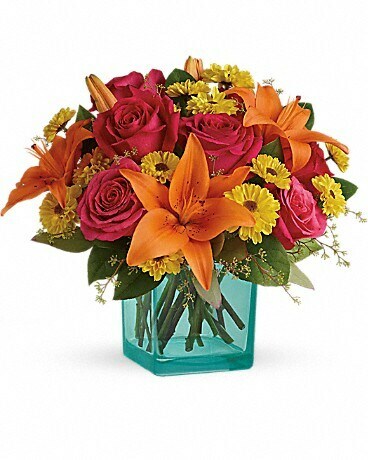 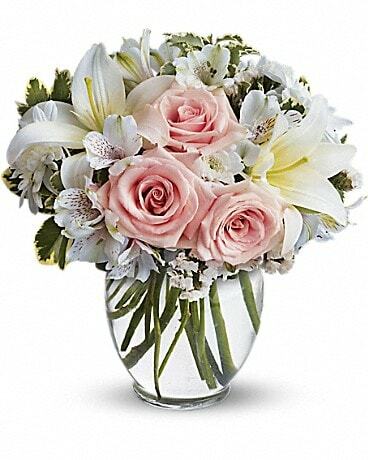 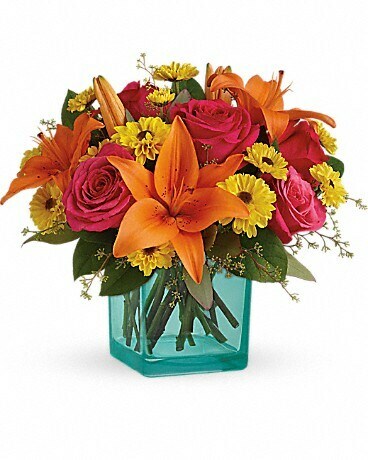 Celebrate any occasion with this fun-filled bouquet that brightens their day with fuchsia roses and orange liles, presented in a beautifully contrasting turquiose cube vase. 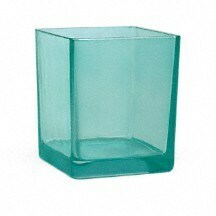 This sleek contemporary turquoise glass cube from Teleflora's Flowers-in-a-Gift collection adds a dash of color and it's great for votive candles too!